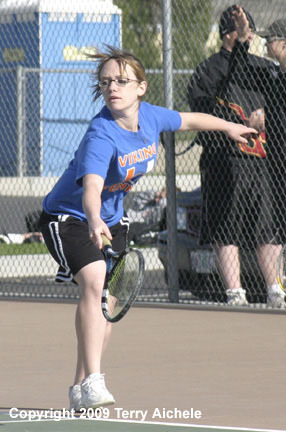 Umatilla's Irene Routson sets up for a two handed backhand shot against Melanie Belshe of Sherman County. 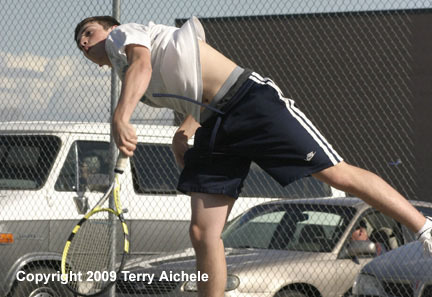 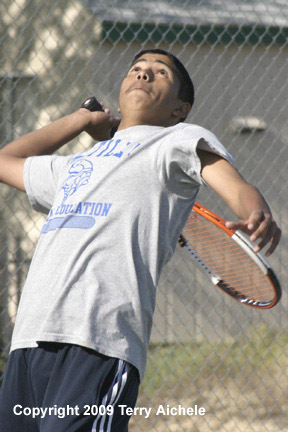 UMATILLA - The Umatilla Vikings hosted Sherman County and Condon Wheeler in mans and ladies tennis action on Thursday May 7, 2009. 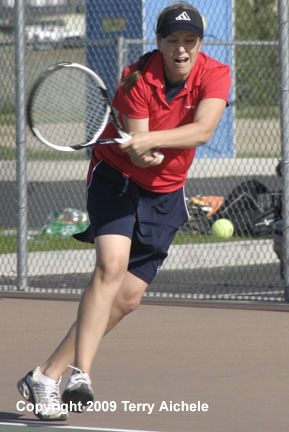 The Viking Ladies defeated Sherman County 4-1. 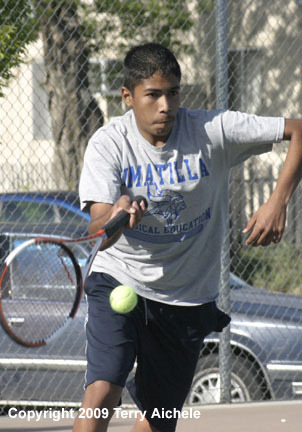 The Umatilla Men defeated Sherman County 5-2. 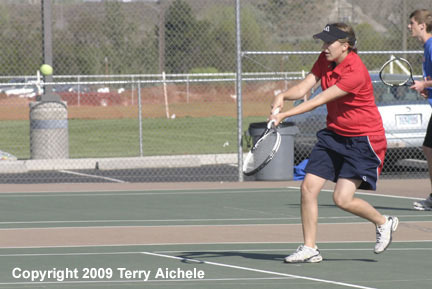 The Condon Ladies defeated UHS 1-0 and the UHS Men defeated Condon 1-0.